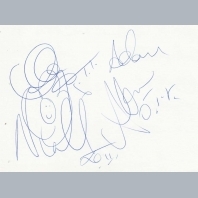 A clearly signed autograph book page in black sharpie. 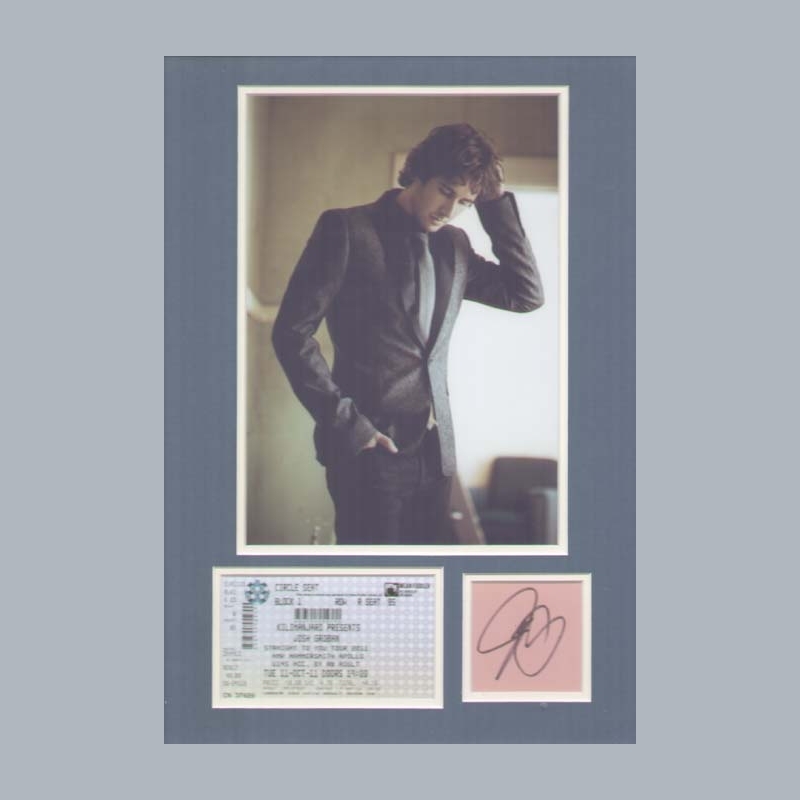 Double mounted for fine display with photograph and reproduction concert ticket.. Obtained myself following his concert at The Hammersmith Apollo London on Tuesday 11th October 2011. The concert ticket validates the provenance. AFTAL Dealer No13 and UACC RD Memorabilia UK COA. 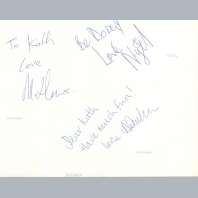 An autograph book page clearly signed in black sharpie. Double mounted for fine display with photograph and reproduction concert ticket. 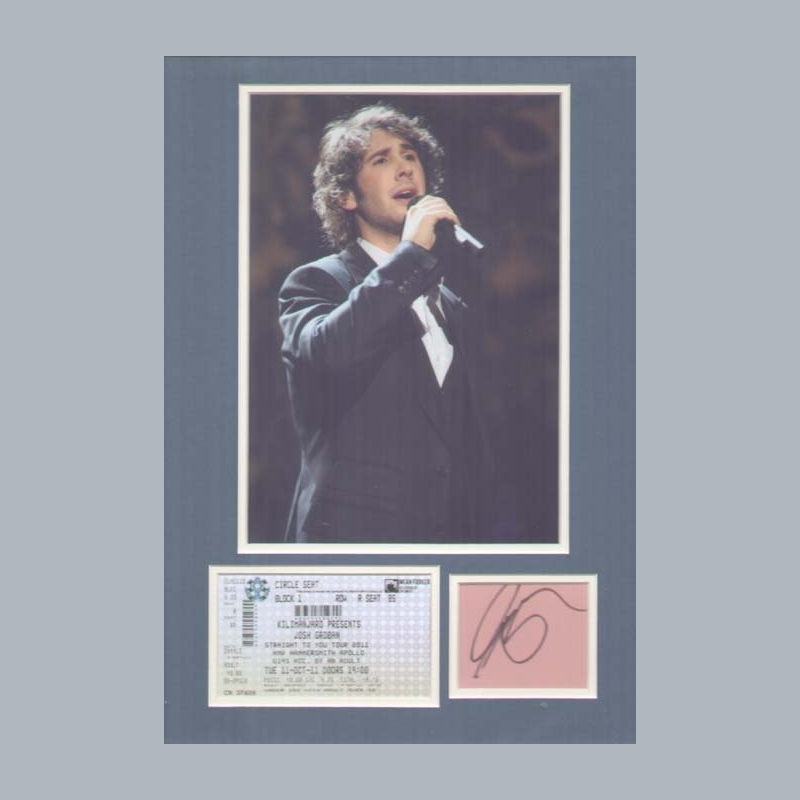 JOSH GROBAN. American singer songwriter with a unique classical vocal quality to his pop music. His debut LP sold over 5 million copies and his single "You Raise Me Up" has become an inspirational anthem to many causes. To date he has sold over 20 million albums in the US alone. 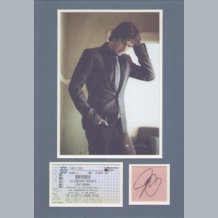 We have no archived items for Josh Groban. We have no videos for Josh Groban.